Spent a lovely Easter Sunday afternoon out at Turnbull National Wildlife Refuge (a scant five miles south of Cheney). We saw lots of critters and creatures but what really caught my eye was a signboard for visitors explaining how Turnbull got its name. Cyrus Turnbull was born in 1849 in Iowa and came to build a cabin at the north end of what was to become known as Turnbull Slough. He married Mary Jane Williams in 1880 in Four Lakes. The couple lived in that cabin from 1880 to 1886 and while the 1885 Auditor's census of Spokane county lists him as a farmer, descendants report that he spent most of his efforts hunting, probably providing wild meat to the brand new and thriving nearby town of Cheney. 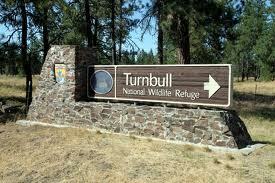 The area was named after Turnbull by his contemporaries. A quick bio on RootsWeb says that the Turnbull family moved to Idaho and Cyrus died in Sagle, Bonner County, in 1934. Wouldn't this make a great little Cold Case Research Project for some EWGS member? For our wonderful Digital Digest?? So many people in the area, including so many EWGS members, enjoy visits to Turnbull National Wildlife Refuge that it would be fun to learn "the rest of the story." DUH on me. In listing the names of EWGS folks attending RootsTech I forgot Cecily Kelly. How could I forget my roommate!! She is doing well in Willis, Texas (near Houston) and expecting a granddaughter in July. And has a new puppy, Annie, who is leading them on merry chases. 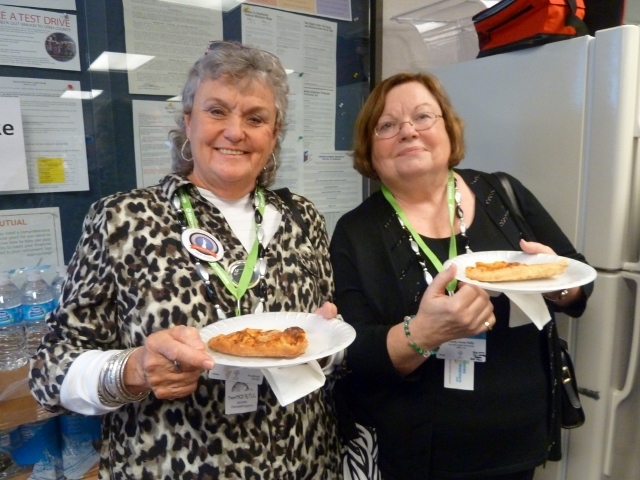 Here we are eating the free pizza in the library on Friday night when the library stayed open until 10pm just for RootsTech folks. 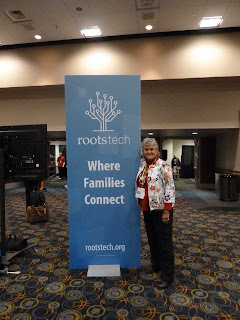 Next year's RootsTech will be 6-8 February 2014.......... I highly recommend the experience!! I've come home totally energized about everything relating to genealogy and technology and ways to collect, preserve and share family stories. Just back from the third RootsTech; I was among 6700 attendees! I did not run into anybody else from EWGS but several from the TriCities group. The theme of the show was stated on this signboard and fully 1/3 of the vendors and presentations were aimed at the theme of preserving the stories and then sharing the stories. 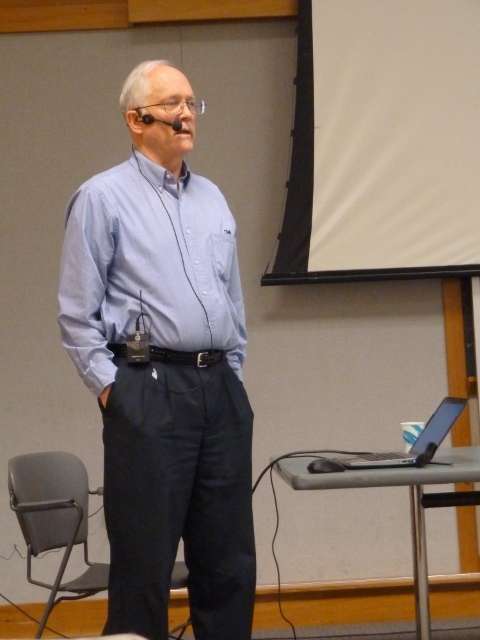 The keynote presentations were especially great and you can learn from them too. Click to www.rootstech.org and click on the live "re-runs." One presenter was David Pogue, the tech columnist for The New York Times. 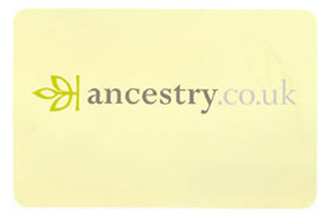 He's not a genealogist and his column on technology is good reading for anybody. (And we can read it for free; use Google to find it.) He told how absolutely for sure the future will be a smallish-device in our pocket that will be "everything:" camera, phone, Internet, social-media connector, start our cars remotely, watch the kids at home, start the oven for dinner, visit the doctor, chat face-to-face with anybody anywhere............ absolutely everything. And if you do not believe it, you err in judgment (as I did). Knowing what I now understand and believe, please know that as your EWGS president I will be encouraging EWGS toward the future and towards technology. For technology is the future, like it or not. Most every vendor booth had chocolates..... dark chocolate too...... and that was a very nice and welcome touch. See what all you missed??? While we would all enjoy and benefit from attending the NGS conference in Las Vegas in May, and even the FGS conference in Fort Wayne in August, most of us will be unable to afford to do so. But we can attend our own WSGS annual state conference right here in our backyard..... Yakima. Here is the informational blurb posted on the WSGS website and the link (to copy and paste) for the complete flyer. If several of us would like to attend, perhaps we could car pool? Who is going and would accept the job of coordinating car pooling? 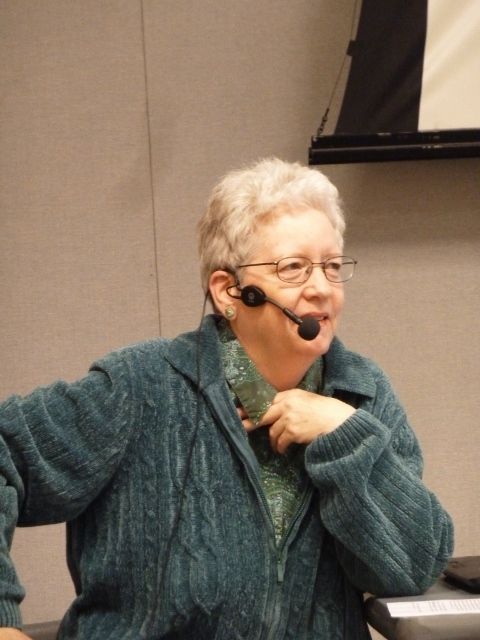 Remember our own Shirley Penna-Oaks are speakers. Our 2013 conference will be held Friday - Saturday, June 28-29, 2013, in Yakima, Washington. 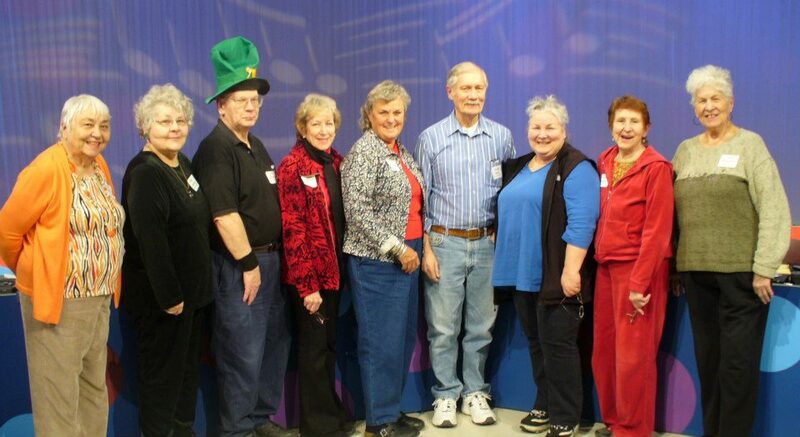 "Researching Rare Apples on Your Family Tree"
This is the group that took pledges for KSPS our PBS station this week. I think EWGS "lost another one." There was an obit in the paper on March 9th for Jean C. Froese, age 83. That was all I could find. IF this is "our" Jean, I remember her long-long-long hair, which she always wore piled upon her head. Do you remember her? Do you have ties to St.Maries, Idaho? They are celebrating their 100th year of incorporation this summer. Their paperwork to become a "municipal corporation known as the Village of St. Maries" was filed on 10 Feb 1914. This little town pre-dates its county; Benewah County was formed on 23 Jan 1915. Their celebration will last all summer. Contact Priscilla Derry, 501 Scott Ave., St.Maries ID 83861, or call 208-245-2837, for more information. They're even offering commemorative T-shirts and pins. I shall be out of town, but EWGS members were invited to meet the candidates for the new library director on Thursday, March 21st, at 6:00pm at the downtown library. They request an RSVP to 444-5308. I hope some from the EWGS Board will attend. Chuckled over the ad in the paper this morning under CATS: "FREE: I yr old male cat w/friendly disposition; neut., all shots. Needs quiet home with mature adult as a companion pet." Did you chuckle too? Just to make you smile, here is a pix of Bette Topp, Diane Barthell, and Donna Phillips at the "Bing Thing" a couple of years ago. Bette never missed an EWGS event if she could help it. She never said, "Well, I don't need THAT!" She CAME. What a great example to us all. 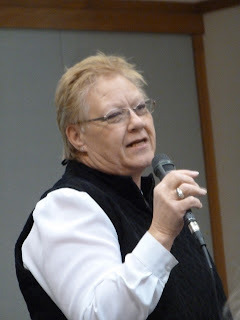 Thanks mainly to the efforts of our EWGS program chair, Shirley Penna-Oakes, our March 2nd Spring Seminar was a great success and wonderful day........... if you attended, I'm sure you agree. And if you missed..... well, darn sorry. Washington State Genealogical Society president, Mike McKinnon, spoke a few minutes about WSGS and then gave a terrific presentation on using some of the lesser-known features of Google. He was followed by our own Miriam Robbins teaching us about City Directories, how valuable they can be to our research and where to locate them. After a nice long lunch break, EWGS's Digital Digest coordinator, Dani Lee McGowan, shared memories of her month-long trip to Ireland and some exciting news about the Morbeth Roll. Thanks to Bill Hire for being our technical guru, to Mary Holcomb, Mary Leske and Georgia Welton for the hospitality spread and to our program chair, Shirley Penna-Oakes....... who was quipping that she is the only Italian you know who does not cook.